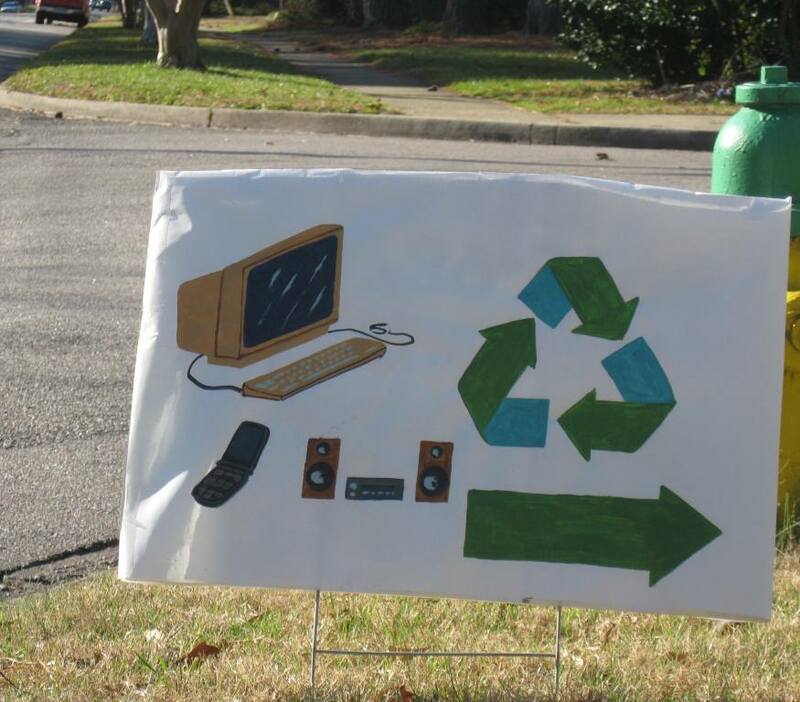 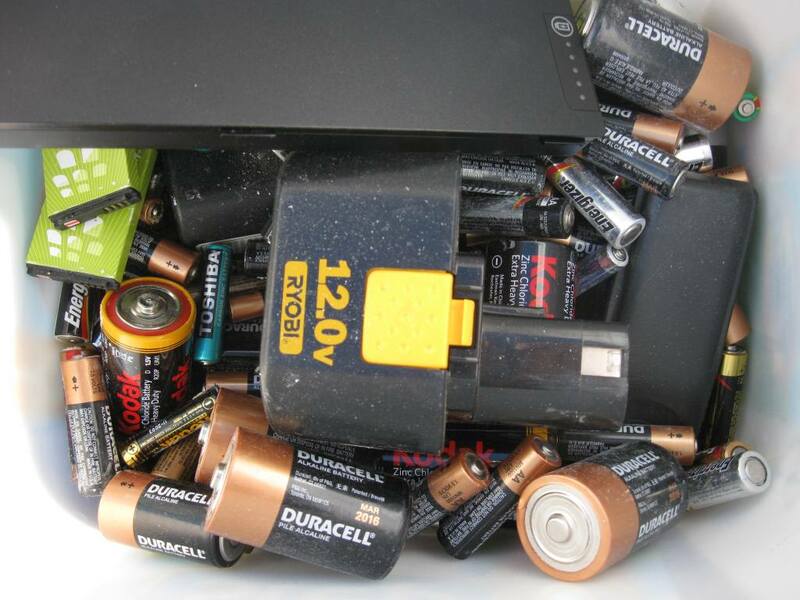 Neighborhood volunteers ran a home electronics recycling collection site in Suburban Acres on Saturday January 14th from 11 am-2pm and collected nearly five cubic yards of non-functioning home electronics for recycling. 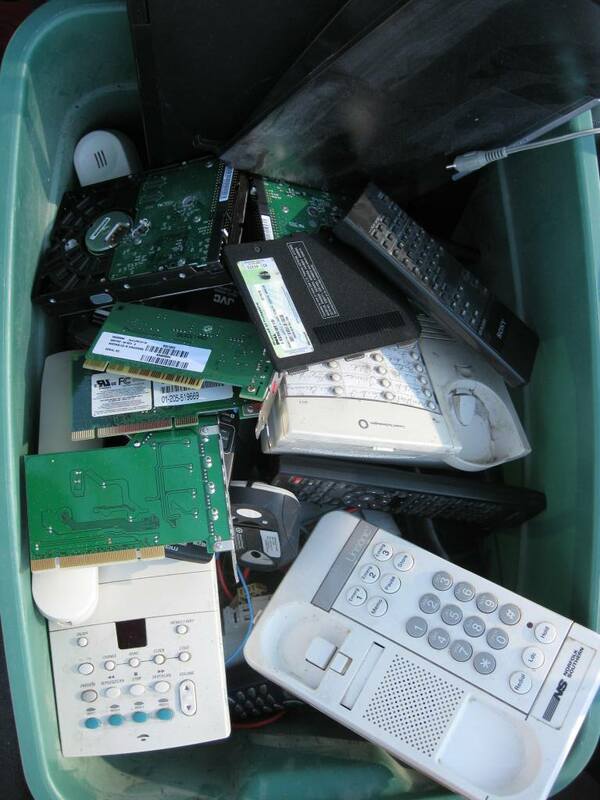 More than 90 individual items from old cell phones to full-size televisions necessitated three separate trips down to the city’s collection facility. 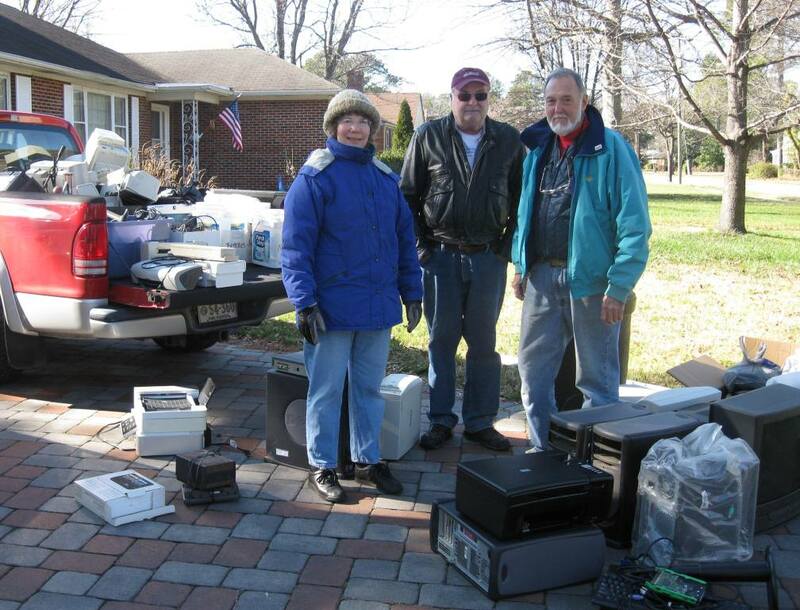 Karen Mayne (left) stands with Richard and Jeff Turner after the Turners drop off household electronics for recycling on Jan. 14th.